Hello ... Hello ... my old friends ... It's great to see you once again! 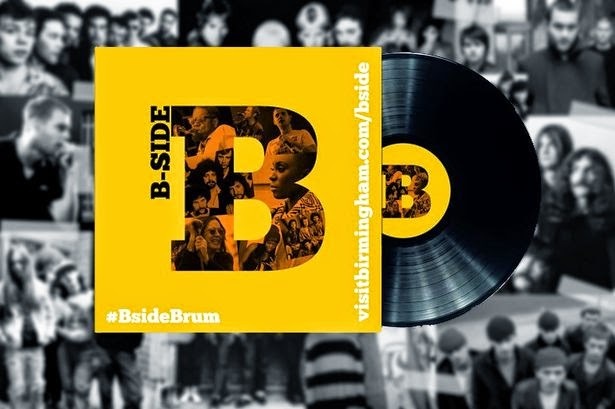 Back at the end of May, ELO Beatles Forever [ELOBF] - alias @KJS_ELOBF - voted for "Mr. Blue Sky" by the Electric Light Orchestra [ELO] via Twitter as their choice for #BsideBrum, the campaign to collate a Spotify playlist/album to represent the diversity of Birmingham's musical heritage. The voting has finished and a panel has now published their selection of 22 tracks [including one hidden song], chosen from 150 submissions by a panel of local musical personalities. 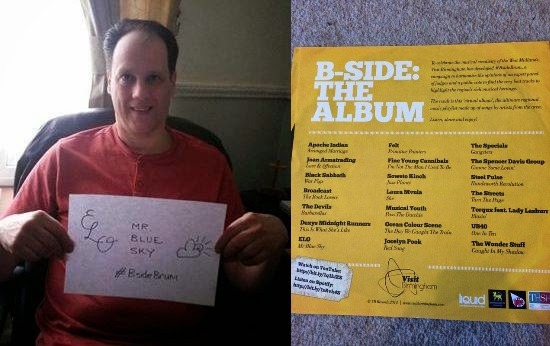 There are some notable inclusions and exclusions, as is always the case with such projects, but the good news is that "Mr. Blue Sky" has indeed been chosen for the virtual album!